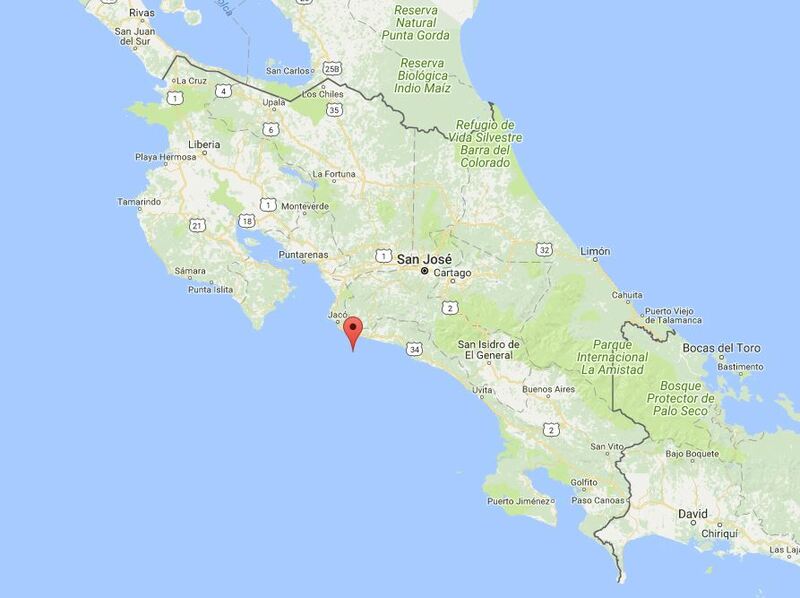 Earthquake in Costa Rica: A 6.9-magnitude earthquake shook Costa Rica at 8:28 pm last Sunday, November 12th, with an epicenter approximately 15 km southwest of the Central Pacific beach town of Esterillos, according to the National University’s Vulcanological and Seismological Observatory of Costa Rica (OVSICORI). The quake was felt very strongly in the whole country and as far away as Puerto Viejo de Limón on the opposite coast or the North Pacific Region. In the Jacó area, near the epicenter, of the major quake and two aftershocks, people reported artwork and other things falling from the walls and breaking, although electricity was on at all times and no significant damage happened in any of the buildings of the epicenter area or anywhere in Costa Rica. The Costa Rican Red Cross indicated that it had not received reports of any serious injuries or damage caused by collapsing objects or buildings. There are three reported casualties due to heart failures. All the Costa Rican infrastructure regarding hotels, tour operating areas, roads and airports are in perfect shape, and there are no changes in any tour programs or itineraries. No passengers of Camino Travel or Premio DMC were affected by the earthquake.